For more information on any of the maintenance and repairs services we offer, contact the friendly and highly experienced team at K&M Autocentre! 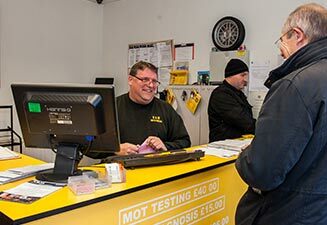 We can book you in for an appointment at our garage at a time most convenient for you, ensuring prompt, efficient and highly effective workmanship. Based in Bulwell, we are perfectly situated to serve the whole of Nottingham and the wider area. Simply give us a call or pop down to see us today!